Make hair manageable & beautifully straight. The master Lakewood stylists at HQ Salon are well trained and fully certified to provide YUKO hair straightening treatments. Highly experienced with YUKO, we are update to date with the latest advancements in these treatments, and we can provide you with the best YUKO hair straightening services in and around Lakewood. YUKO Hair Straightening Treatments at HQ Salon Start at $375. The cost of this treatment will depend on your hair and the results you are looking for. Our stylists are happy to help you determine if YUKO is right for you – and provide you with a quote for this treatment – in a consultation. What is YUKO Hair Straightening? How Is It Different from a Brazilian Blowout Treatment? Patented and internationally renowned, YUKO hair straightening involves a collagen-containing solution and heat technology to reconstruct the hair’s protein bonds in order to reshape them. Rebuilding hair from the inside out, YUKO hair straightening restructures hair to make it lie flat and keep it permanently straight. Work on all types of hair – This includes hair that’s curly, frizzy, straight, damaged, coarse, fine, etc. No matter how curly or unruly your hair is, YUKO will create the results you’ve always wanted. Improve the health of hair – Both treatments condition hair, rather than damaging it. Be tailored to fit according to hair type - Both treatments allow for custom solutions, instead of being one-size-fits-all type of treatments. Provides more permanent results – While Brazilian Blowouts last about 12 weeks, YUKO can last for 6 to 12 months. Generally, it’s advised that clients maintain YUKO about every 8 months or so. Does not retain original texture of hair – Brazilian Blowouts can eliminate frizz while preserving the hair’s natural wave and texture (to the extent a client wants). In contrast, YUKO will change the texture of hair in order to make it permanently straight. The first step in the YUKO hair straightening process is a consultation to evaluate the status of your hair (i.e., hair type, hair length, damage levels and dryness) and determine if YUKO is right for you. Typically, YUKO is not recommended for hair that is shorter than 5 inches and/or that is excessively damaged. The pretreatment - This includes a wash and pre-treatment sprays to nourish your hair before the processing solution is applied. The YUKO solution application - Once applied to all of your hair, the solution will be left in your hair to saturate it and work its magic. The rinse, blow dry & flat ironing - After the solution has been left in your hair for the appropriate amount of time, we will rinse it out, blow dry your hair and then flat iron your dried hair. This stage of the process creates the permanent straightness. The neutralizer application & final styling - The neutralizer conditions hair while finalizing the YUKO treatment. After applying and rinsing the neutralizer, we will blow dry and style your hair. This process typically takes 3 to 4 hours to complete. After your YUKO treatment, wait 2 days before getting your hair wet, shampooing it, wearing hats or clips, and tying hair back. Wait at least 2 weeks before coloring your hair. After shampooing your hair, fully blow dry it every time. Use YUKO home care products, available at HQ Salon, for optimal care and maintenance. HQ Salon is a chic, full-service salon offering exceptional YUKO hair straightening services, as well as the highest quality products and stunning results. 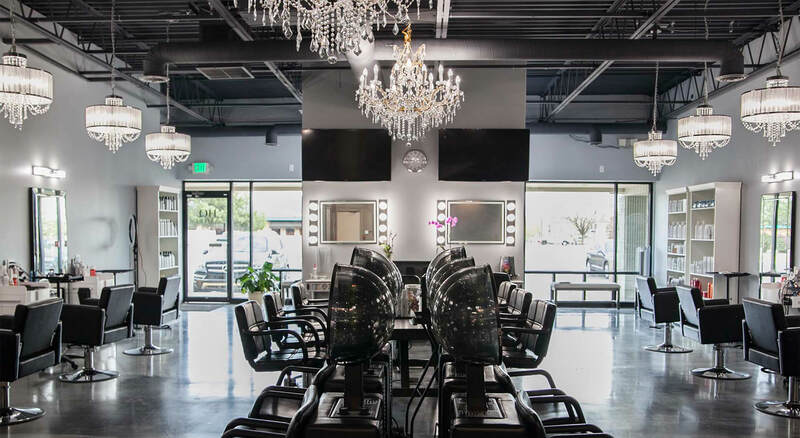 Our expert Lakewood stylists cater to all types of hair while providing our clients with relaxing, luxurious experiences, personal service and dazzling looks. We are ready to offer you the best YUKO and other salon services in and around Lakewood. HQ Salon welcomes all types of clients – women, men and children. From our friendly professionals to amenities like a beer and wine bar, a snack bar, free parking and free WiFi, we are focused on providing the best possible client experience. We look forward to serving you!